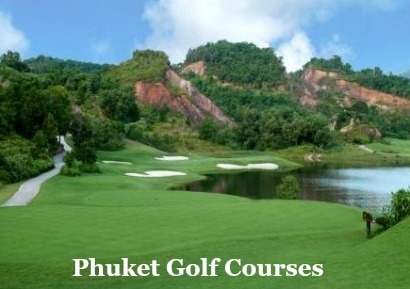 Phuket Country Club is the longest running golf course on the Island. The Country Club offers an enjoyable game for mid to high handicap golfers off the white tee's, and is a good challenge for lower handicappers of the blue tee's. The Country Club is located between Patong and Phuket Town and is an easy course to get to either with golf tours or by a short taxi ride from the major beaches. 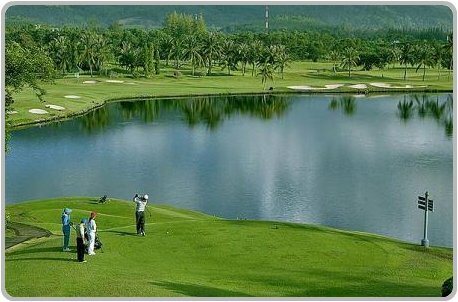 The Country Club was built in 1989 and is now regarded as the longest established golf course on Phuket. I had the pleasure of playing on this course for the first time over 23 years ago and after many return visits, the course still has the better of me. The course has a good variety of holes, winding across the hillside. My favorite hole has to be the 10th, after grabbing some refreshments at the clubhouse to then take on the challenging 557 yard par 5. On this hole you have a choice of playing around the lake or going for broke and carrying the 240 yards over the water direct to the green. My recommendation is have a go, just use an old ball if your not sure, it can join a few of mine in the lake if you don't make it. The staff and caddies are all very friendly and helpful, just watch out for the ball hunters lurking off the fairways for those stray shots. Green fee's are reasonable with golf carts available for the nine hole course. You will find monthly golf tournaments are available at Phuket Country Club and the course is open for all to play. Check the Country Clubs website for more details and up to date prices.